Spring break is the perfect time to wear all of your latest and greatest sorority gear, whether you are going to actual SB festivities or just staying close to home. Here are a few “must-have” Greek items that you… well… must have if you are going to make the most out of spring break! 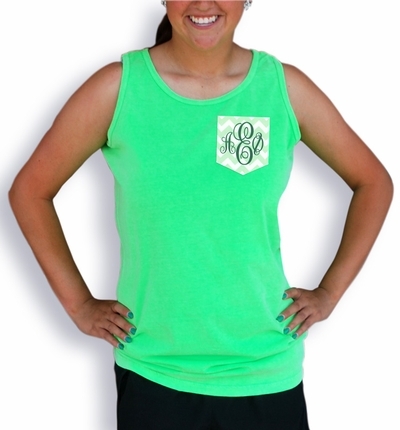 Sorority Monogrammed Garment-Dyed Tank– These tanks come in a variety of colors and have an adorable accent pocket with your sorority’s monogram on them. What a cute and classy way to stay cool on a sunny spring break day! Sorority Venture Emblem Tote- Ladies, we always need a way to tote around all of life’s necessities, so why not make it something durable AND adorable? 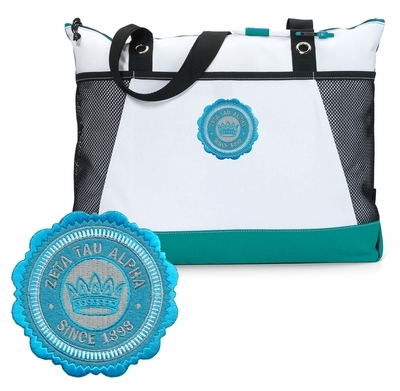 Our Sorority Venture Emblem Totes are nice and roomy so you can store beach towels, an extra pair of shoes, a spare set of clothes, anything you may need! They have a ton of pockets and pouches to keep valuables secure, plus they are super durable. An added bonus? They come in your sorority’s colors and sport your crest! Spirit Pullover Jersey- Need a preppy swim suit cover up or just a comfy shirt to lounge in? Look no further! Our Spirit Pullover Jerseys come with our Greek monogram on the back, so you can rock your letters in comfort. Polka Dot Shrit & Flip Flop Set– Flip flops…And a shirt? In adorable polka dots? Could it get better? This is the perfect spring break combo! Sorority Bath & Beach Towel- Soak up some rays while lounging on our Sorority Beach Towels! 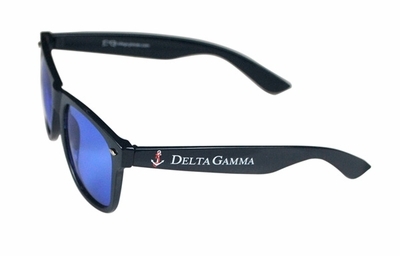 Hip Sorority & Fraternity Sunglasses– You cannot pass up these sweet shades! 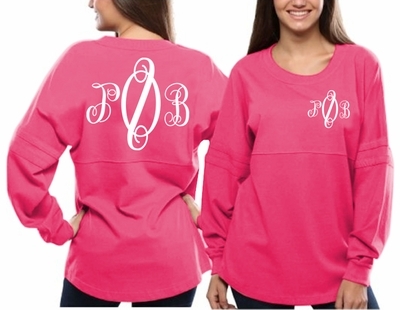 What a great way to sport your sorority’s letters while finishing off your outfit. Our sunglasses display your sorority’s letters and mascot on the sides. Here at Greek Gear, we strive to make your spring break wardrobe as “Greek” as can be!